Philip "Fyvush" Finkel, who died Sunday at the age of 93, was an American actor known as a star of Yiddish theater and for his role as lawyer Douglas Wambaugh on the television series Picket Fences, for which he earned an Emmy Award in 1994. He is also known for his portrayal of Harvey Lipschultz, a crotchety history teacher, on the television series Boston Public. Finkel was born at home in the Brownsville section of Brooklyn, New York, the third of four sons of Jewish immigrant parents, Mary, a housewife from Minsk, Belarus, and Harry Finkel, a tailor from Warsaw. He adopted the stage name "Fyvush", a common Yiddish given name. Finkel first appeared on the stage at age 9, and acted for almost 35 years in the thriving Yiddish theaters of the Yiddish Theater District of Manhattan's Lower East Side, as well as performing as a standup comic in the Catskill's Borscht Belt. Six years ago we posted a tribute to Finkel when at the age of 88 he starred in a musical celebration of his life on stage with highlights from his roles spanning Second Avenue to modern-day television stardom. I played child parts till I was 14, 15, then my voice changed. So I decided to learn a trade and went to a vocational high school in New York. I studied to be a furrier, but I never worked at it. As soon as I graduated high school, I went to a stock company in Pittsburgh, a Jewish theater, and I played there for 38 weeks, and that's where I actually learned my trade a little bit as an adult. He worked regularly until the ethnic venues began dying out in the early 1960s, then made his Broadway theatre debut in the original 1964 production of the musical Fiddler on the Roof, joining the cast as Mordcha, the innkeeper, in 1965. The production ran through July 2, 1972. Finkel then played Lazar Wolf, the butcher, in the limited run 1981 Broadway revival and eventually played the lead role of Tevye the milkman for years in the national touring company. 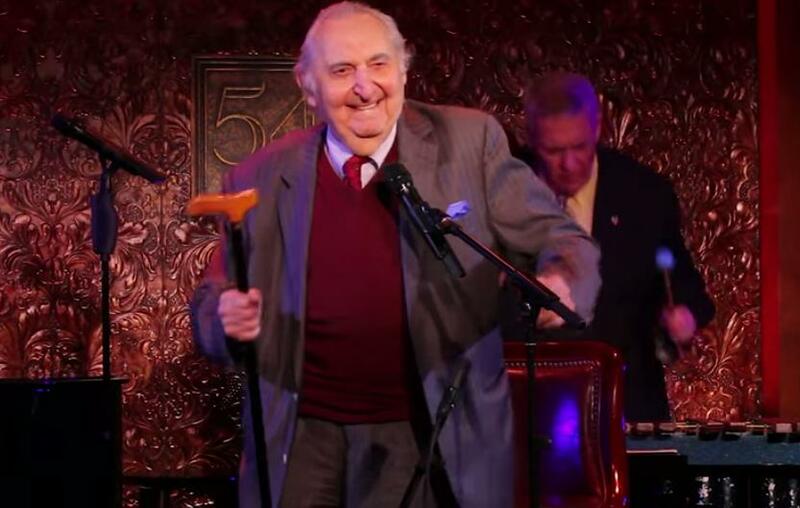 Two years ago at the age of 91, Finkel invited Jews and goyim alike to celebrate Purim at the theatrical temple of 54 Below. He was joined by his two sons, pianist Elliot Finkel and xylophonist Ian Finkel, to commemorate his eight decades onstage. This video was TheaterMania's sneak peek of Finkel's says first true nightclub performance, traversing the broad expanse of his life and career through songs, stories, and, simcha.